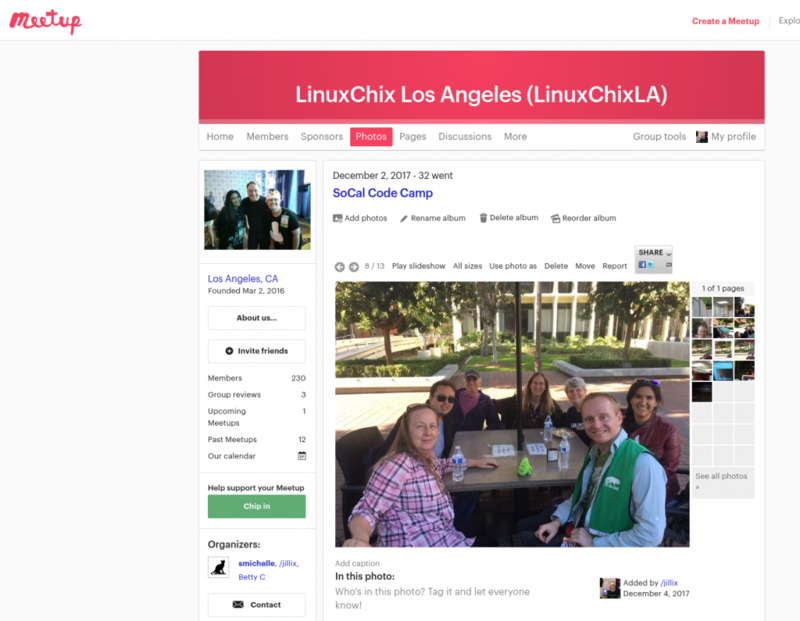 LinuxChix Los Angeles – Page 2 – Be Polite, Be Helpful. A community for and by women interested in F/LOSS. Published on April 16, 2018 April 16, 2018 by Jill Bryant Ryniker Category: SCaLE16x, You Did What? and Where? Published on April 16, 2018 April 16, 2018 by Jill Bryant Ryniker Category: You Did What? and Where? For Your Chance To Win This Full System 3 Monitor Linux Gaming Rig!!!!! Select “SCALE Pass” or “Expo Pass” and then use the Promo code CHIX on the first page of SCaLE 16x Registration to get %50 off! Published on February 6, 2018 April 16, 2018 by Jill Bryant Ryniker Category: You Did What? and Where? Kernel 4.15 has arrived! NVIDIA releases a busted driver, Chrome silences annoying websites and the Italian military embraces open source. All this plus your emails. 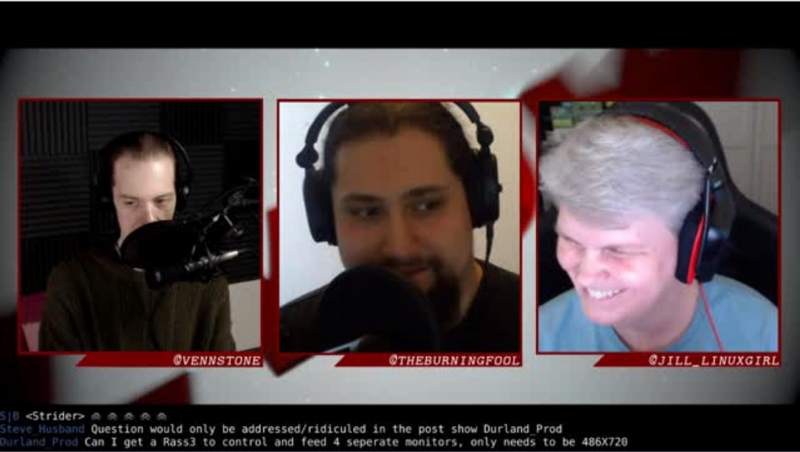 Wow, LinuxChix LA represent, I was on LinuxGameCast’s LWDW Linux News Show \:-D/!!!! Published on February 6, 2018 February 6, 2018 by Jill Bryant Ryniker Category: You Did What? and Where? Here is the full Linux Gamecast LWDW show including the preshow and aftershow I was on \:-D/ And at timestamp 1:07:01 Venn shows my Computer Room Tour Video (#SCALE represent! ), and we talk Star Trek, Venn thanks me and he offers me my own show on the LGC network \:-D/!!!!! LinuxChix LA Booth Raffle @ SCaLE 16x!!!! 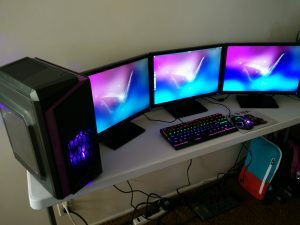 For This Full System 3 Monitor Linux Gaming Rig!!!!!!!!!!! Linux “Born To Frag” Mouse Pad!!!!!!!!!!!!!!!!!!!!! LinuxChix LA Had Fun @ SoCal Code Camp!!!! Published on December 5, 2017 by Jill Bryant Ryniker Category: Learning, You Did What? and Where? Published on November 17, 2017 November 17, 2017 by Jill Bryant Ryniker Category: You Did What? and Where? 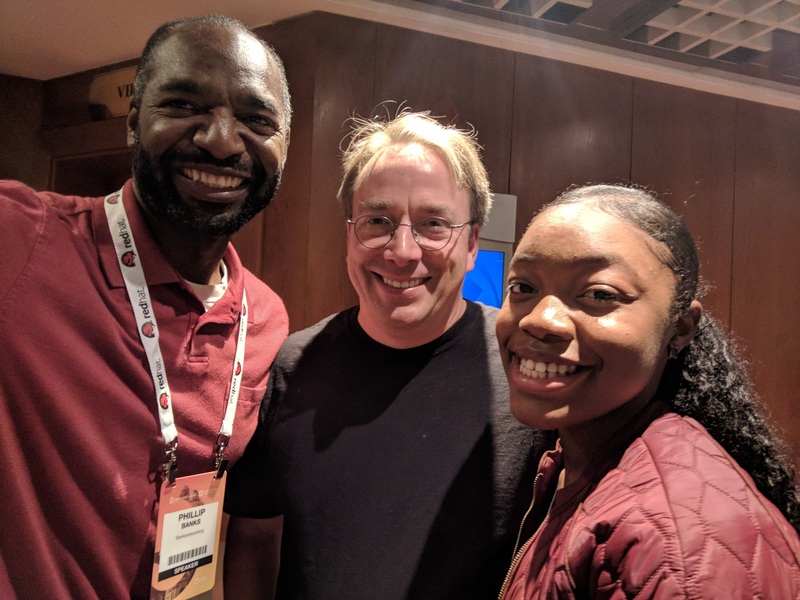 Keila and Her Dad Phillip Banks Rocked It @ OSSummit Europe 2017!!!!!!!!! Published on October 27, 2017 October 27, 2017 by Jill Bryant Ryniker Category: You Did What? and Where? Open Source Summit 2017 Europe!!!!!! And the LinuxChix LA get to meet Linus Torvalds once again!!!!!! Published on October 25, 2017 October 25, 2017 by Jill Bryant Ryniker Category: You Did What? and Where? OSSummit Europe live Pacific Standard Time at Midnight October 24, 2017!!!!!!!! And into the early am Linus Torvalds will be the last keynote speaker for the night! Phillip Banks is feeling excited with Carole Leila Cramer-Banks. Next week stop what you’re doing and catch us in Europe. The event will be live streamed. Jill Bryant The LinuxChix LA can’t wait to watch Keila rock it at #OSSummit with Linus Torvalds!!!! Nithya A. Ruff is with Phillip Banks in Prague, Czech Republic. Terrific to see Keila Banks keynoting at #ossummit. 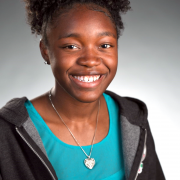 Have seen this young woman grow up and be a great role model for young girls everywhere. Phillip Banks Thanks Nithya! I love dropping her off today for the women’s lunch and hanging with so many women she knew and coming back with new friends.